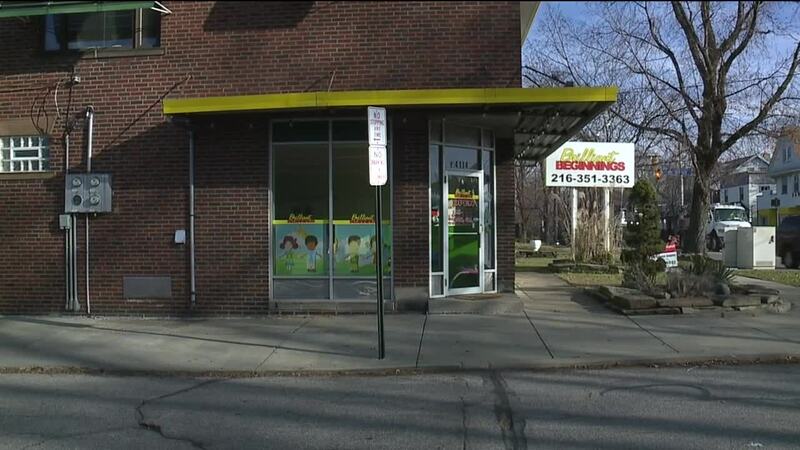 CLEVELAND — Cleveland Police are trying to track down a man they say pulled a gun on his ex-girlfriend outside a daycare filled with children. Xavier Ware is accused of taking his domestic violence attacks up a notch, less than a day after being arraigned on a stalking charge. A witness watched in horror as they say Ware pulled the trigger, as she frantically tried to get the victim inside to safety. However, the gun pointing in their direction malfunctioned and never fired. "What makes it more frightening is that if his gun hadn't jammed he could have killed her, could have killed other people at the daycare and could have killed children," said Alexandria Ruden, from the Legal Aid Society of Cleveland. The latest incident is raising more questions about the criminal justice system in Cuyahoga County. "Should we do something more with bail? Should we, how do we assess for a violent offender," said Ruden. With a criminal case pending for stalking, along with a pair of recent police reports filed against him for menacing and assault, Ware was a free man. "What that says one more time is that domestic violence must be taken seriously," said Ruden. "Where the gaps are in each system," said Ruden. Gaps she said might have prevented Ware from coming to the daycare where his former live-in girlfriend works. "She obviously went to the police, charges were filed, she was granted a temporary protection order and the case was pending," said Ruden. The disturbing details of this latest incident come on the heels of a News 5 public forum on domestic violence at the First Unitarian Church of Cleveland in Shaker Heights. The goal was to inspire the community to use its voice for change. “The issue is now out in the open," said Ruden. While it may feel like this violent cycle keeps repeating itself, Ruden is hopeful as more victims find the strength to speak up and those around them listen. "Believe that person and find a way to put more and more safeguards in place for that victim. More and more women are being saved," said Ruden.